E-Laws Training was founded and is run by retired Metropolitan Police Officers. We have a wealth of knowledge and experience and have worked in a wide variety of roles across the spectrum of policing. Our team includes Police Trainers and Detectives with experience of investigating serious and organised crime. We understand that the ‘hands on’ practical element of policing is fundamentally rooted in knowledge and theory. We will strive to ensure everyone who is successful in completion of the Pre-Join Certificate in Knowledge of Policing with us is ready to undertake police foundation training. WHAT'S DIFFERENT ABOUT E-LAWS TRAINING? 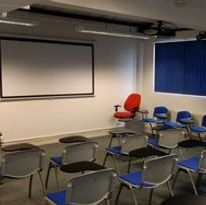 We believe in delivering first class training and student support, We understand Sir Robert Peel’s principle that ‘The police are the public and the public are the police.’ We understand and support the fact that the Police Service is made up of all sections of the community and that diversity and equality should not be a barrier to learning or obtaining employment with any chosen Police Service. People should be judged on their ability and ability alone to serve the public and uphold the law. We understand that students studying for this may be in full time employment or have caring responsibilities to meet. Therefore we offer on-line distance learning.